This entry was posted on January 9, 2014 by Braden. It was filed under Landscape, Nature and was tagged with Canon EF-S 18-55mm f/3.5-5.6 IS, Canon EOS 7D, ice, Missouri, photography, ponds, Saint Louis, trees, water, Willmore Park. That is very cool! 🙂 Not sure what I’m seeing, tho. Snow? Hi, Uncle Tree. It is actually a partially frozen pond–so ice and water. 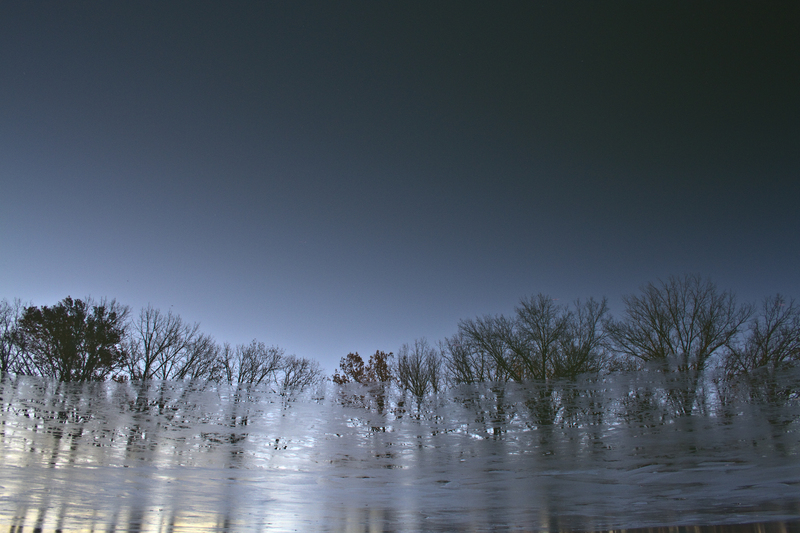 The trees are reflected clearly on the water and are blurred by the ice. The picture may be a bit disorienting because it is upside down from the original perspective I shot from.